Specialist 4 Donald Sylvester Moses was born on June 20, 1947. Specialist 4 Moses began his tour of duty in Phuoc Long Province, South Vietnam on April 25, 1967 serving as an infantryman with B Company, 4th Battalion, 12th Infantry, 199th Infantry Brigade. 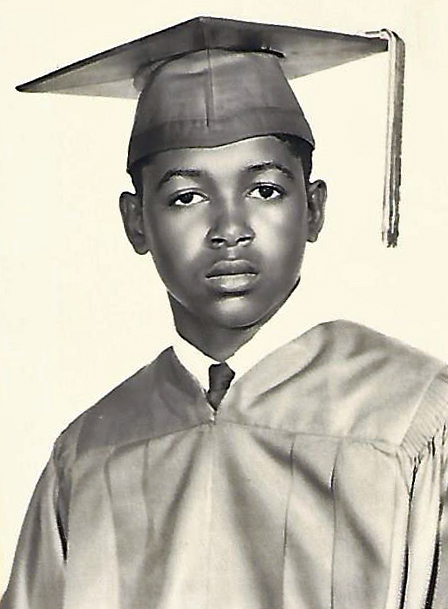 Donald was killed on October 25, 1967 as a result of multiple fragmentation wounds. Donald Sylvester Moses lived 20 years, 4 months and 13 days. He is resting in Magnolia Baptist Church Cemetery in Newellton, Louisianna. Donald's name is listed on the Vietnam Memorial in Ypsilanti Township under Ann Arbor. His name also appears on the Vietnam Memorial in Washington, DC on Panel 28E Line 069. SP4 Moses. My husband, Danny, is a Viet Vet. Today is his birthday. Please know you are remembered each and every day in our home, and today - the anniversary of Danny's birth and the anniversary of your death, you and your family are held close to our hearts. Never to be forgotten, my friend.